Dr. Vinodh Jaichand (Photos by Miami Law). The first time Dr. Vinodh Jaichand ever boarded a plane and traveled abroad was to come to attend the University of Miami School of Law. "I knew my quest to study abroad was the right one when I got to UM" said Jaichand, who received his LL.M. in International Human Rights Law in May 1984. "UM was one of the few Law Schools which offered an opportunity to study comparative law and international law to persons from outside the U.S."
Today, Jaichand is preparing to become the Dean and Head of the Oliver Schreiner School of Law at the University of the Witwatersrand, Johannesburg. Taking this position at one of the top law schools in South Africa is not just important in its own right, but even more seminal in that he will be only the second black person to be appointed as the Head Dean in the 91-year history of the institution. Holding this post at the same law school from which Nelson Mandela graduated, Jaichand commented, "I feel that it is an onerous job and that much will be expected of me but I am up for the challenge." Jaichand is being promoted from Professor of Human Rights and Director of the International Human Rights Exchange at the University of the Witwatersrand. Prior to that he was the Dean of the Faculty of Law at the University of Durban-Westville (now a part of the University of KwaZulu-Natal) in 1992-1993. Also, for nine years, he was the Deputy Director of the Irish Centre for Human Rights at the National University of Ireland, Galway, where he was the architect of the LL.M. in Economic, Social, and Cultural Rights which was launched in September 2009, and for five years he was the National Executive Director of Lawyers for Human Rights. Since that first plane ride to Miami in 1983, Jaichand has traveled many miles, but he still recalls his one year at Miami Law fondly. "Professor Chris Hall's seminar on International Human Rights Law set me on the academic path: I met him in London last year and told him how inspirational he was." Jaichand also remembers the humanity and care bestowed to him by Majorie Chase, then administrator of that program. "As my money would be later arriving from South Africa, she often loaned that to me to pay on time." While Jaichand has several goals once he takes up the post of Dean and Head of the law school, one of which includes the improvement in the number of students who graduate. Another goal is "to reconcile our apartheid past with the black graduates who came to the historically white law school, received their degrees and became very successful in their careers" but as Jaichand said, they were never integrated into the everyday life of the Law School or the University. He intends to hold a Day of Reconciliation with such alumni to apologize for that treatment. "I hope that look into our past will assist us in dealing better with our future as a world-class African law school." He has won numerous awards including the National University of Ireland Galway President's Award for Teaching Excellence for 2010-2011. 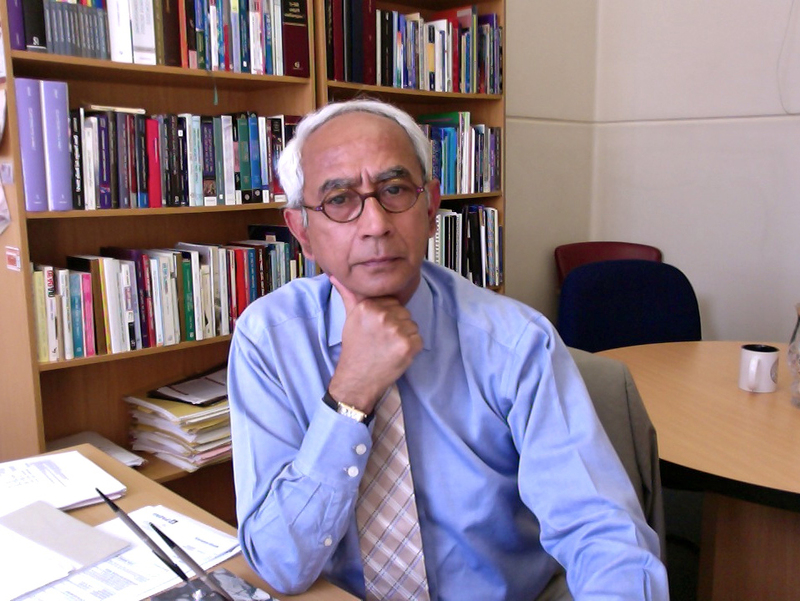 Jaichand officially takes over the position of Dean and Head of the Law School at the University of the Witwatersrand, Johannesburg on August 1, 2013.